A versatile desk for home or office, our Four Leg Writing Desk is designed with tapered legs and two compact drawers to create a sleek profile, while its spacious top offers plenty of working surface. Its flush-mounted drawers promote intuitive use with minimal hardware. Available with a solid wood top, or you can choose the “Customize This Piece” option to select finely crafted leather covered panels that inset into the frame and are available in a variety of colors to add warmth and texture to the writing surface. 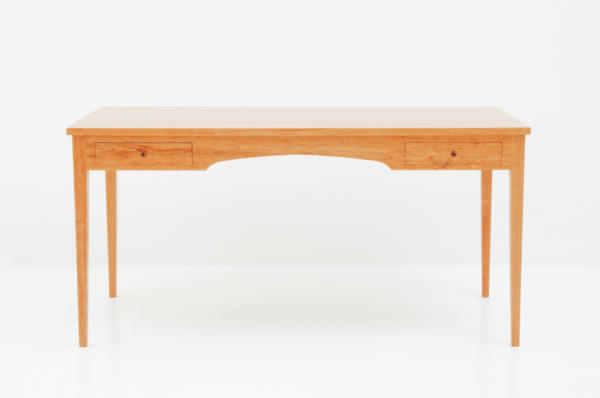 Crafted in the spirit of traditional Shaker designs, our Four Leg Writing Desk is effortlessly beautiful and brilliantly utilitarian. Made in your choice of sustainably harvested North American hardwood, the desk employs four square tapered legs that integrate with the cabinet and desktop through the use of traditional mortise-and-tenon joinery. An optional Keyboard Addition slides out for easy use and will conceal computer wires. The cabinet of the desk is arranged to host two drawers, positioned at either side of the occupant for easy access to working essentials. 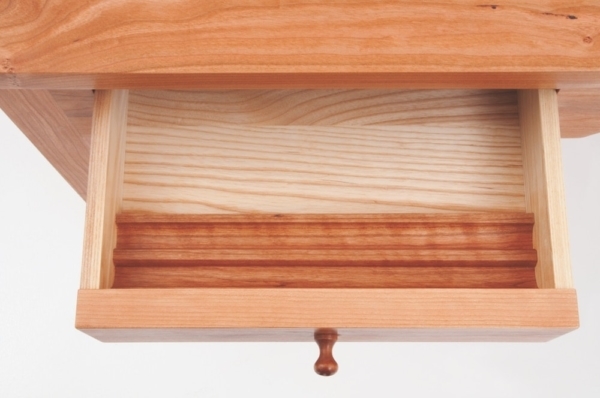 Dovetailed drawers move in and out on our distinctive hardwood slides.